Posted on August 24, 2018 at 5:42 pm. Many homeowners don’t give the color of their roof much thought until it’s time for a replacement. While selecting colors for siding, shutters, and a front door may get more of your attention, your roof can help bring together the look and feel of your entire home. If you’re wondering how to choose the color of your roof, read on for what to consider. If it’s time for a new roof, the first question to ask yourself is whether or not you’ll also be altering any other parts of the exterior of your home. If you’ll be replacing your home’s siding and your roof at the same time, for example, make a decision about color that takes these other changes into consideration as part of the bigger picture. If your home siding and shutters don’t need a makeover anytime soon, then you’ll want to select a roof color in tones that match the existing exterior of your home. If you have a gray, blue, or white exterior, opt for a roof that’s dark gray or black. Those colors can look great on a red brick house as well. 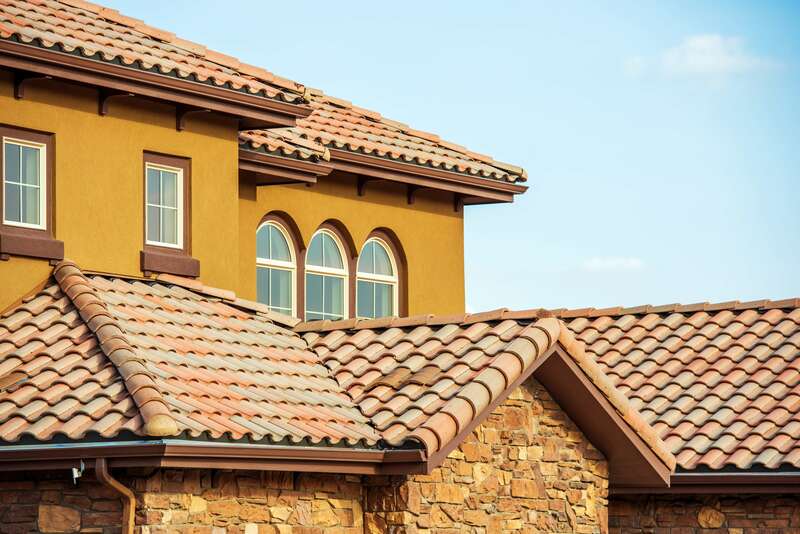 If you have a brown, cream, or tan colored house, including cream or taupe colored bricks or a brown-based stone façade, opt for a roof that’s brown or a mix of brown and cream. If your exterior features green or yellow, you have more flexibility, and either a black or brown palette could work for your roof. Don’t forget your roof has the power to make a statement, especially when it’s time to sell your home. Aim for neutral colors if you prefer to play it safe or maintain wide appeal to future buyers. Use a mix of colors (such as blue, black, and gray) for a trendier roof that helps your house stand out. Another major consideration when selecting the color of your roof is climate. Roof color can make a real difference in the temperature of your home, so keep your energy bills in mind when choosing colors for your next roof. White or light-colored shingles help to reflect sunlight, creating a difference in temperature in your attic of up to 30%. This can have a huge impact on how much energy (and money) it takes to cool your home in warmer months. Looking for even bigger energy savings? Consider applying a reflective coating to your roof as well. On the other hand, dark-colored shingles absorb heat, keeping your home warmer and easier to heat in winter months. Dark-colored roof shingles can also aid in channeling the power of the sun to melt snow or ice on top of your roof. Since Terre Haute and the Wabash Valley see both cold winter and scorching summers, there are pros and cons to going with either a light-colored roof or a dark one. As you narrow down your choices for the color of your roof, you’ll also want to be thinking about the material you choose. Rogers Home Improvement can help you pick the material of your next roof, from imitation slate roof shingles to laminate asphalt roofing shingles. Now that you know how to choose the color of your roof, get in touch to discuss your next project. Our experts are here to offer a free estimate or roof inspection, and we have options for financing home remodels to help you bring your home renovation to life. Give us a call.